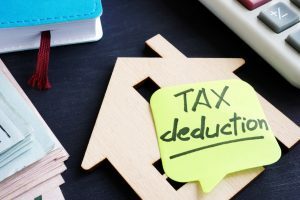 Does Your Rental Real Estate Activity Qualify for the QBI Deduction? 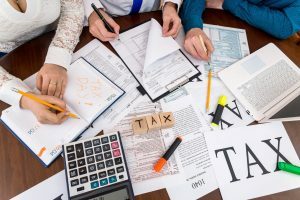 If all the general requirements (which vary based on your level of taxable income) are met, the deduction can be claimed for a rental real estate activity – but only if the activity rises to the level of being a trade or business. An activity is generally considered to be a trade or business if it is regular, continuous, and considerable. Because determining whether a rental real estate enterprise meets those criteria can be difficult, the IRS has provided a safe harbor under which such an enterprise will be treated as a trade or business for purposes of the QBI deduction (IRS Notice 2019-7). For this purpose, a rental real estate enterprise is defined as an interest in real property held for the production of rents and may consist of an interest in multiple properties. 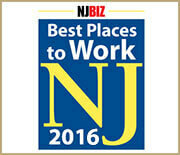 Commercial and residential real estate may not be part of the same enterprise. 250 or more hours of rental services are performed annually with respect to the rental enterprise. Note that these hours of service do not have to be performed by you personally. The taxpayer maintains contemporaneous records, including time reports, logs, or similar documents, for: (i) hours of all services performed; (ii) description of all services performed; (iii) dates on which such services were performed; and (iv) who performed the services. Such records are to be made available for inspection at the request of the IRS. The contemporaneous records requirement does not apply to the 2018 tax year. 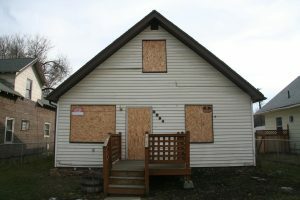 Some types of rental real estate are not eligible for the safe harbor. 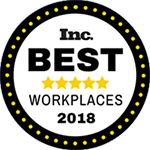 Real estate used by the taxpayer (including an owner or beneficiary of passthrough entity) as a residence for any part of the year is generally not eligible for the safe harbor, nor is real estate rented or leased under a triple net lease. To qualify for the real estate safe harbor in 2019, it is important for you to maintain contemporaneous records starting with the 2019 tax year. I have listed above the information which needs to be tracked as part of the 250 hours of rental services above. As the real estate tax guy, I’m here to assist you in all your real estate accounting matters. If you have questions about the QBI deduction as it applies to your rental real estate, you can reach me at [email protected] or 201.655.7411. 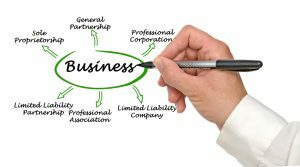 An unincorporated business jointly owned by a married couple is generally classified as a partnership for federal tax purposes. However, in 2007, there was an addition to the Internal Revenue Code that excludes from partnership status a Qualified Joint Venture (“QJV”) conducted by a married couple who file a joint return. This was enacted by Congress to alleviate what was considered an unnecessary burden of filing partnership returns where the only members of a business joint venture are a husband and wife filing a joint income tax return. both spouses elect the application of QJV treatment. A qualified joint venture, for purposes of the provision enacted in 2007, includes only businesses that are owned and operated by spouses as co-owners and not in the name of a state law entity (including a limited partnership or limited liability company). If the business is owned and operated by spouses as co-owners, it will not qualify for the election. There are special rules for married couple state law entities in community property states. As a result of utilizing the QJV election each spouse should file a separate Schedule C reporting his or her respective share of the items of the venture. There is no prescribed form for making the election. The election is deemed made on a jointly filed Form 1040 by dividing all items of income, gain, loss, deduction, and credit between each spouse in accordance with each spouse’s respective interest in the joint venture, and each spouse filing with the Form 1040 a separate Schedule C (Profit or Loss from Business). You’re correct, this is a real estate blog. 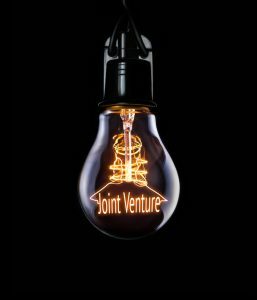 If you and your spouse each materially participate as defined under the at-risk and passive activity limitations and you file a joint return for the tax year, you may elect to be taxed as a qualified joint venture instead of a partnership. By making the election, you will not be required to file Form 1065 Return of Partnership Income, for any year the election is in effect and will instead report the income and deduction directly on your joint return. To make this election for a rental real estate business, check the “QJV” box on line 2 for each property that is part of the qualified joint venture. 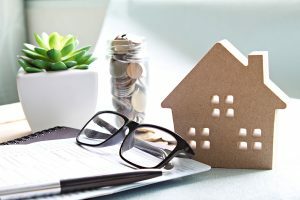 The confusion surrounding a QJV typically arises in non-community property states, including New Jersey and New York, where spouses jointly own interests in an LLC. The LLC purchases a rental property, which now needs to be reported on a partnership return instead of Schedule E of the individuals’ 1040s. As noted above, the QJV will not apply to a venture that is in the name of a state law entity. If you are considering not filing a partnership return because of the QJV election, you should contact your preparer to review the rules, especially related to rentals owned by LLCs where spouses are the only members. In determining gain or loss on sale of a partnership interest, taxpayers are often surprised to find they have a taxable gain. For income tax purposes gain or loss is the difference between the amount realized and adjusted basis of the partnership interest in the hands of the partner. The amount the partner will realize will include any cash and the fair market value of any property received. Further, if the partnership has liabilities, the amount realized will include the partner’s share of the partnership liabilities. If the partner remains liable for the debt, the amount realized will not include the partner’s share of the liability. Amy is a member in ABC, LLC which has no outstanding liabilities. Amy sells her entire interest to Dave for $30,000 of cash and property that has a fair market value of $70,000. Amy’s amount realized is $100,000. Amy is a member of ABC, LLC and has a $23,000 basis in her interest. Amy’s membership interest is 1/3 of the LLC. When Amy sells her 1/3 interest for $100,000 the partnership has a liability of $9,000. Amy’s amount realized would be $103,000 ($100,000 + ($9,000 x 1/3). Generally, a partner selling his partnership interest recognizes capital gain or loss on the sale. The amount of the gain or loss recognized is the difference between the amount realized and the partner’s adjusted tax basis in his partnership interest. Assume Amy’s basis was $40,000. Amy would realize a gain of $60,000 ($100,000 – $40,000). Amy’s basis was $23,000. Amy would realize a gain of $80,000 ($103,000 realized less $23,000 basis). Partnership taxation establishes the general rule that gain on sale a partnership interest receives favorable capital gain treatment. 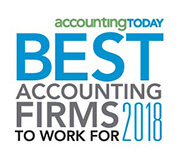 However, gains attributable to so-called “hot assets,” which include inventory, depreciation recapture, and accounts receivable of a cash basis partnership are taxed at less favorable ordinary income rates. To the extent that a sale is attributable to the selling partner’s share of the hot assets, the resulting gain or loss is taxed at ordinary income rates. 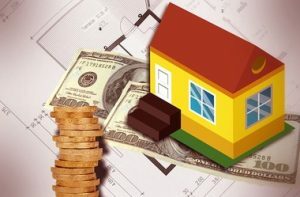 When real estate is sold to the extent the gain on sale is attributable to depreciation deductions, the resulting gain is treated as unrecaptured IRC §1250 section gain. §1250 gain is taxed at a flat 25% rate. It is important to note that in IRC §1031 (like-kind exchange), non-recognition treatment does not apply to exchanges of partnership interests. If you’re selling your partnership interest, we can help you plan the sale so that you pay no more tax than necessary. Contact Simon Filip, the Real Estate Tax Guy, at [email protected] or 201.655.7411 today. An estate of a US citizen or resident alien is subject to an estate tax based upon the value of the worldwide property, owned or subject to certain rights or powers by the decedent on the date of death. The estate tax rate for 2018 is 40% for taxable estates in excess of an $11.18 million exemption, which is adjusted annually for inflation. 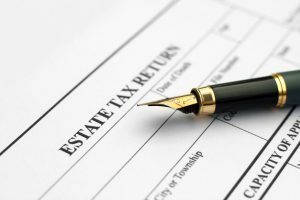 A US estate may also deduct from the taxable estate a marital deduction equal to the value of property left to a surviving spouse. The amount of lifetime taxable gifts during the decedent’s life is also included in calculating the gross estate. While US citizens and residents are subject to worldwide estate and gift taxation on their gratuitous transfers, non-residents (persons who are neither US citizens nor US domiciliaries) are only subject to the US estate tax on property that is situated, or deemed situated, in the United States. The gross estate of a Non-Resident Alien (“NRA”) includes all tangible and intangible property situated in the US, in which the decedent has an interest at the time of his death or over which he has certain rights or powers. The taxable estate of an NRA is taxed at rates up to 40% of the value of estate in excess of a $60,000 exemption. Additionally, the estate of an NRA is generally not allowed a marital deduction unless the surviving spouse is a US citizen. US property included in an NRA’s estate includes US real property owned or under his control and interests in US partnerships (including those holding positions in real property). It is important to note the US does have estate tax treaties with multiple countries including Canada, France, Germany, Greece, Italy, Japan, and the UK, amongst others. These treaties may provide estate tax relief to residents of treaty jurisdictions. When your spouse is not a US citizen, the unlimited marital deduction is unavailable. This is true regardless of whether or not the decedent is an American citizen. The result is the $11.18 million exemption is unavailable and the entire estate transferred to a non-citizen spouse would be subject to estate tax. With advance planning, the non-citizen spouse estate tax implication can be reduced or eliminated. The property can be held in the name of a foreign corporation. 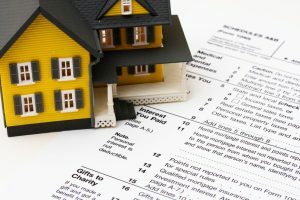 The property can be held in an irrevocable trust or a trust whose assets would not be included in the settlor’s gross estate for US estate tax purposes. The title can be held in a two-tier structure with the property in the name of an American company (US real property Holding Corporation) whose shares are held by an offshore company. Although these structures are intended to avoid the US estate tax, the structures may result in the unintended consequence of higher taxes on sale, rental income, and, in some jurisdictions, franchise taxes. If you are a Non-Resident Alien, we can help you plan so that your estate pays no more tax than necessary, while avoiding those unintended consequences. Contact Simon Filip, the Real Estate Tax Guy, at [email protected] or 201.655.7411 today. The Qualified Opportunity Zone Program (“QO Program”) enacted as part of The Tax Cuts and Jobs Act is a new incentive designed to promote investment in low-income communities by allowing taxpayers to defer, reduce, and potentially exclude gain recognition on certain investments made in Qualified Opportunity Zones (“QO Zones”). Investors wishing to utilize the Opportunity Zone Program must invest their gain in a QO Fund. In order to meet the criteria of a QO Fund, 90% of the assets held by the vehicle on the last day of the fund’s taxable year (and the last day of the first six month period of the fund’s taxable year) must be qualified opportunity zone property (“QOZ Property”) within a QO Zone acquired after December 1, 2017. The Act requires the Treasury Secretary to establish guidance for the certification process of QO Funds, which will likely be administered by the Department of Treasury’s Community Development Financial Institutions Fund (“CDFI Fund”). The QO Program requires a QO Fund to make direct or indirect investments in a QO Zone. Qualified Opportunity Zones (QO Zones) are defined as certain low-income communities that are experiencing uneven economic development, resulting in pockets of disinvestment and unemployment. In New Jersey, Governor Murphy nominated 169 low-income tracts in 20 counties for designations a QO Zones. On April 9th, the U.S. Department of Treasury approved Governor Murphy’s designation of such tracts as QO Zones. A temporary deferral of inclusion in taxable income for capital gains reinvested in an Opportunity Fund. 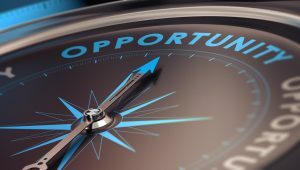 The deferred gain must be recognized on the earlier of the dates on which the opportunity zone investment is disposed of or December 31, 2026. A step-up in basis for capital gains reinvested in an Opportunity Fund. The basis is increased by 10% of the investment in the Opportunity Fund is held by the taxpayer for at least 5 years and an additional 5% is held for at least 7 years, thereby excluding up to 15% of the original gain from taxation. A permanent exclusion from taxable income of capital gains from the sale or exchange of an investment in an Opportunity Fund if the investment is held at least 10 years. This exclusion only applies to gains accrued after an investment in an Opportunity Fund. Gains must be reinvested within 180 days in order to qualify for tax deferral under the QO Program. There is no “like-kind” requirement as part of the program. An investor could sell a mutual fund and reinvest gains into a QO Fund that will develop real estate in one of the selected census tracts. The program is still being formulated. The next step is for the Treasury Department to promulgate regulations for the establishment of Opportunity Funds, the vehicles which QO Zones investments will be made. Like many other aspects of the new tax law, QO Zones can get complicated. With Simon Filip, the Real Estate Tax Guy, on your side, you can focus on your real estate investments while he and his team take care of your accounting and taxes. Contact him at [email protected] or 201.655.7411 today.